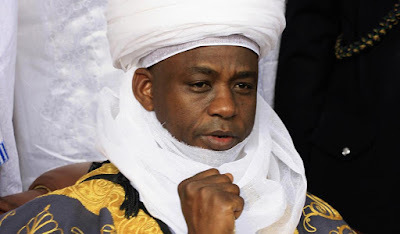 The Sultan of Sokoto and Chairman Nigerian Supreme Council for Islamic Affairs, Alhaji Sa’ad Abubakar, has declared Sept. 1, 2017, as Eid-el-Kabir day. This is contained in a statement signed by Prof. Sambo Junaidu, the Chairman, Advisory Committee on Religious Affairs to the Sokoto Sultanate Council. The statement, made available to the News Agency of Nigeria in Sokoto today, indicated that the declaration followed the sighting of the new moon of Zulhijja yesterday. “The advisory committee in conjunction with the National Committee on Moon Sighting received various reports on moon sighting across the country confirming the sighting of the new moon of Zulhijja on Tuesday, Aug. 22, 2017,’’ it said.